A well-designed building can stand for decades, or even centuries, probably outlasting the company it was originally built for. In time, the building will likely have to be adapted, repurposed, or adjusted to make room for new equipment or changes in work habits. Adaptable building design focuses on giving buildings the ability to meet the demands of the future by allowing them to grow and change easily. Taking these factors into account can lower long-term costs and ensure your building remains in demand for years to come. When designing a new building, many architects and clients focus on creating the perfect structure to meet their immediate needs; those features can make later adaptations extremely difficult and expensive. Using open floor plans and rooms that can easily be repurposed with the use of new furniture and fixtures, adaptive building design simplifies future alterations. Adaptable building design also focuses on making upgrades to wiring and other vital infrastructure easier and less expensive. Technology, style, and the business world is evolving faster than ever, requiring modern companies to focus on flexibility. An adaptable office space, warehouse, or retail location allows businesses to respond to new trends, rapidly shift focus, and take whatever steps they need to succeed. Software companies, for example, may benefit from an open floor plan so they can rearrange workspaces as they take on new projects. Not only will this lower future renovation costs, but it can also ensure that your building stands the test of time. 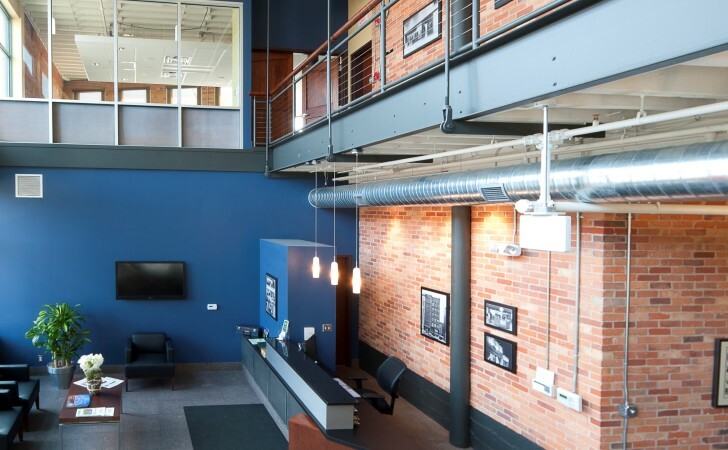 No matter what industry you’re in, you can rely on Pardi Partnership Architects PC in Rochester, NY, for innovative solutions and beautiful, effective building designs. Their integrated approach combines the skills of award-winning designers and architects, eliminating problems and streamlining the entire process. Visit their website to see some samples of their work, follow their Facebook for more tips, and call (585) 454­-4670 to discuss your project today.